SPRING ALX-RH potato digger-harvester (for medium / small surfaces) allows you to take every care to perform a gentle collection. 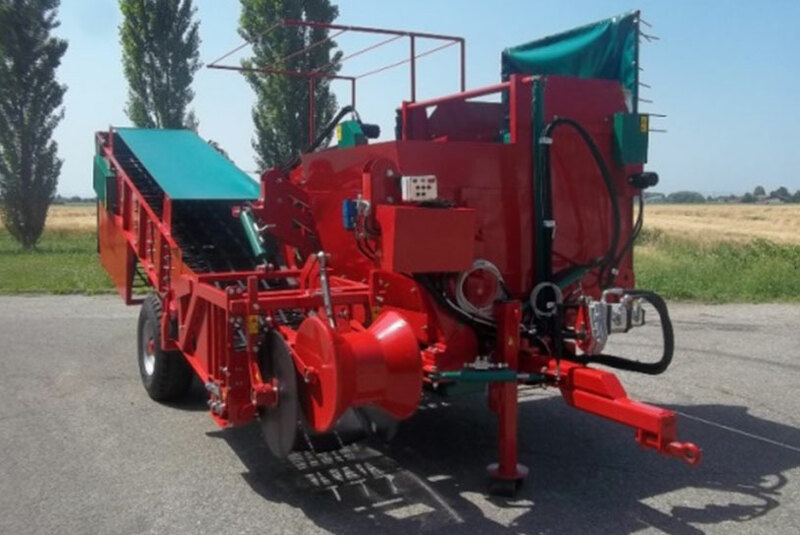 The work done by these 1 row machines , with hopper with unloading belt, is impeccable thanks to a continuous rise of the tubers on the hedgehog belt (allowing the tubers along the run not to skip) and the separation of the soil using non-aggressive systems. Independent belt adjustment allows you to achieve excellent results on a soft product and in any type of soil. These features make the SPRING series the most suitable machinization on the agricultural market for the relationship between quality / productivity / purchase price/ maintenance. In particular, the SPRING ALX-RH model allows automated and professional harvesting for small and / or middle-sized farmers.